Monterey Car Week has many events to take some great classic or exotic machines. It has also become a huge time for automotive sales as multiple high profile auctions happen during the week. One of these is Mecum Auctions and they had some very interesting cars for sale this year. These include the Porsche 930 once owned and customized by Steve McQueen and the white Ferrari Testarossa from Miami Vice. The Porsche 911 Turbo (930) is one of the all time greatest cars made by the German performance car maker. The 930 was incredibly fast for its time, but it was a tricky machine to drive. It received a reputation as a widow maker thanks to its combination of the rear-engine layout and the noticeable turbo lag. 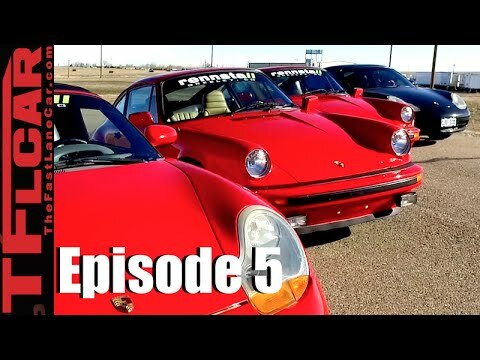 The 930 is a very different car than the modern 911 Turbos. Sure the newer cars are much faster, but they don’t quite have the drama of the air-cooled cars. That isn’t to say they aren’t fun, but these older cars are just more raw and that makes them very special. 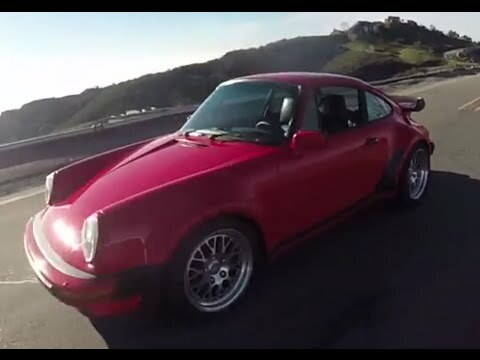 This video features Matt Farah driving a modified Porsche 930. The car puts out a very good 400 horsepower and thanks to its relatively low weight it makes for quite a quick ride. The boost may not kick in until 4,000 RPMs, but that simply adds to the drama. Old or new? 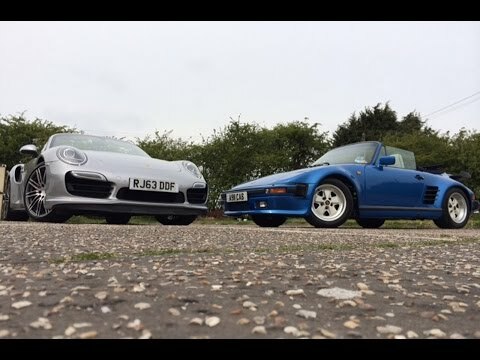 That is the hard decision that Autocar tries to make when it tests a new Porsche 911 Turbo Cabriolet against a classic 930 Flatnose Cabriolet(also called a Slantnose). Both turbocharged cars were very fast in their day (or today as the case may be). The new 991 Turbo is just about perfect. The open-aired version of the rear-engined sports car punches well above its class, with the most comparable convertible being the McLaren 650S Spider. That makes the new 911 Turbo quite the bargain in the supercar world. The older 911 Turbo (930) has classic charm. While some purists are not fans of the Flatnose design, it does make this turbocharged machine stand out even more in the crowed. With the classic 930 you do get a great vintage ride with lots of character. What that also means is that you get a lot of turbo lag and some noticeable flex in the chassis. However, all of this kind of adds to the charm of the older car and it is enjoyable to drive even at lower speeds. So the choice is a tough one. The modern car is almost too perfect (if that is possible), but it is the classic 930’s imperfections that make it almost perfect. But what would you choose? Let us know in the comments.